The professionals who put their lives on the line to protect us got to show off their many and varied skills at the annual Emergency Services Day. 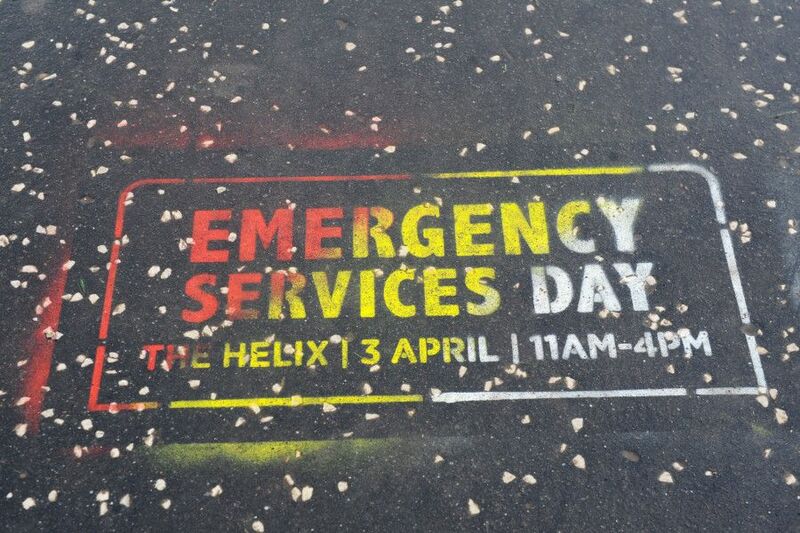 Police Scotland, the Scottish Fire and Rescue Service, the Scottish Ambulance Service and dedicated representatives from other vital emergency organisations gathered at the Helix Park earlier this month to hold demonstrations, meet the public and promote safety. As well as seeing some of the high tech equipment used in the present day, people could step back into the past and pop into the Fire Service mobile museum. As you can see, people enjoyed the day despite the weather. Helix Park Emergency Services Day on April 3, 2019. Pictures by Michael Gillen.